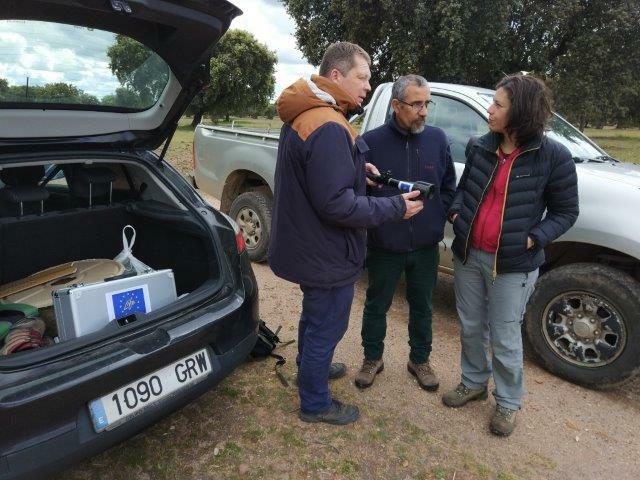 On Thursday March 23rd, Sven Kallen & Egbert Sonneveld representatives of the project met with Gerardo Moreno of the University of Extremadura and Laura Garcia from Fundacion Global Nature. Laura and Gerardo have worked together for several years on a property called ‘El Baldío’ of Fundacion Global Nature in Talaván (Caceres). We have the opportunity to invite them to the final conference Life ‘Operation CO2’ on the 17th of may in Palencia. They are interested in the Agroforestry experiments in this project especially the combination of fruit trees with green covers or forage crops. 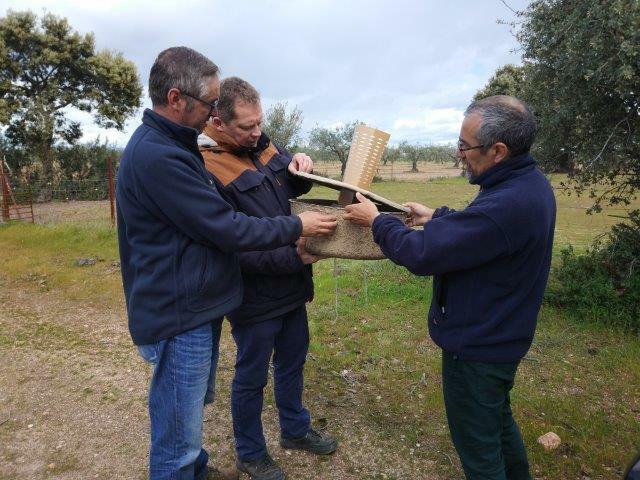 We visited the ‘El Baldio’ property together and we got explanations how a proper management of the soil with a seed mix and rotational grazing can improve the biomass production and the activity of the soil.